From what I gathered from our tour guide Roy Ungkal, Lang Dulay started weaving when she was 12. After being awarded National Living Treasure by the National Commission for Culture and the Arts (NCCA), she opened her “school” known as Manlilikha ng Bayan Center hoping to train students, including her granddaughters, in the craft. However, Roy emphasized that despite the effort to train weavers, Lang Dulay still belongs to a different category being a dreamweaver. This means that the “ordinary” weavers are there to simply weave the T’nalak fabric but they are not its designers. 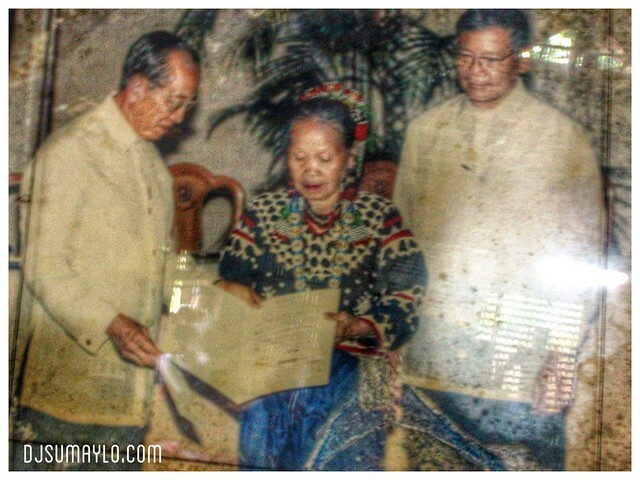 Lang Dulay is the oldest dreamweaver in the land with more than 100 designs under her name. When we got to the center, we were greeted by Lang Dulay herself and the other weavers. 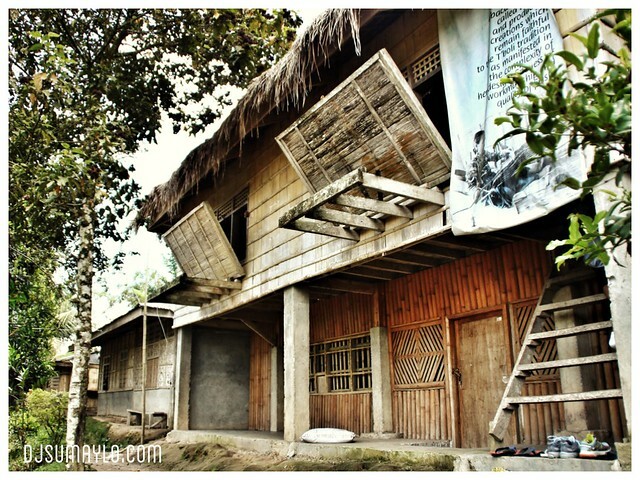 The place was a traditional T’boli house with big windows and no partitions inside. The whole second floor was arranged as a workshop, receiving area for tourists, and display area for their products. Roy also mentioned in his talk that the center produces two different T’nalak fabrics – those for commercial mass production and those special fabrics that uses the best natural dye and abaca fibers. When I asked about their supply of materials for weaving, they said that materials are still abundant in the forests of Lake Sebu. The process of preparing the abaca and its dye also provides livelihood to other households in the area. I am specifically interested in this information since I am an advocate of sustainability of projects by involving immediate stakeholders. The Mayor of Lake Sebu does not consider this a major problem since raw materials are abundant except for brass (Lake Sebu is also known for brass casting). Personally, I have handled T’nalak fabric and even wore outfits made of T’nalak and I should say that these are the least comfortable fabric you can use for clothes. However, after my visit at Lang Dulay’s, I realized that the real T’nalk is actually super soft and shiny. 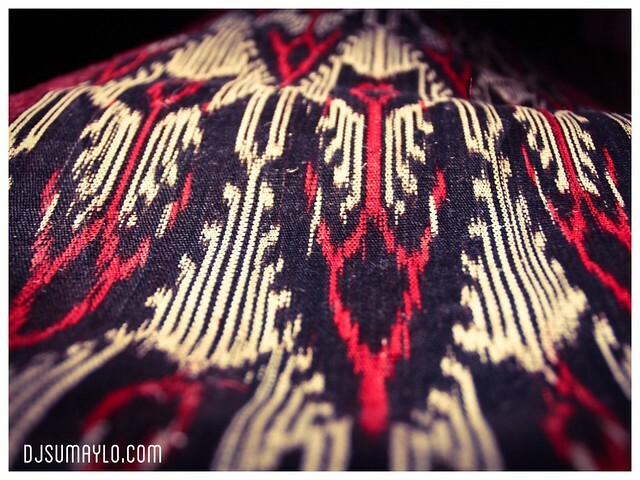 Moreover, the T’boli tribe’s T’nalak weavers use red as pigment but due to demands as well as changing trends, they now use different pigments for their contemporary fabrics. Some are in rich brown, gold, and even orange. One roll of the fabric is 6-8 meters long and is sold at 700 to as high as 1500 per meter. Since the design and the fabric itself is sacred to the community, they sell the fabric per roll. Cutting the fabric is not allowed. It is a little expensive but it is worth it. Imagine, one design will take months to finish. It involves great physical sacrifice. It is even said that when a dreamweaver starts to weave, distraction is not allowed for her to finish weaving. Husbands are considered distractions therefore intimacy is out of the question for months. That is one of the reason why the tribe practices polygamy as how Roy explains it being a T’boli himself. Dreamweavers in Lake Sebu is dwindling in numbers. The need to train weavers is what the government wishes to work on thereby creating schools for living traditions. One example would be Lang Dulay’s workshop. 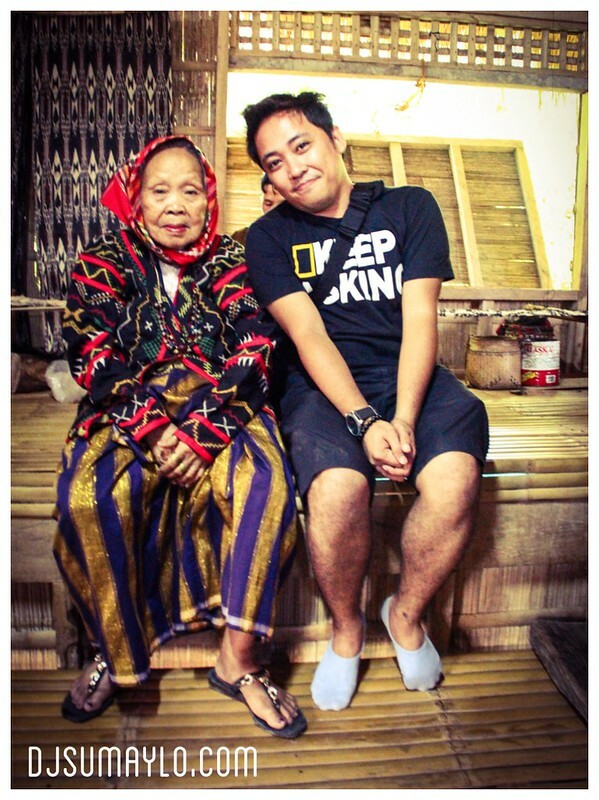 Now in her twilight years, Lang Dulay needs to pass on the tradition and with the SLT project, Barbara Ofong is identified as the youngest dreamweaver in Lake Sebu next to Lang Dulay herself. Relatively young in weaving with a few designs under her name, the community holds on the next in line weavers like Barbara and Lang Dulay’s students and family members to continue the legacy of weaving. 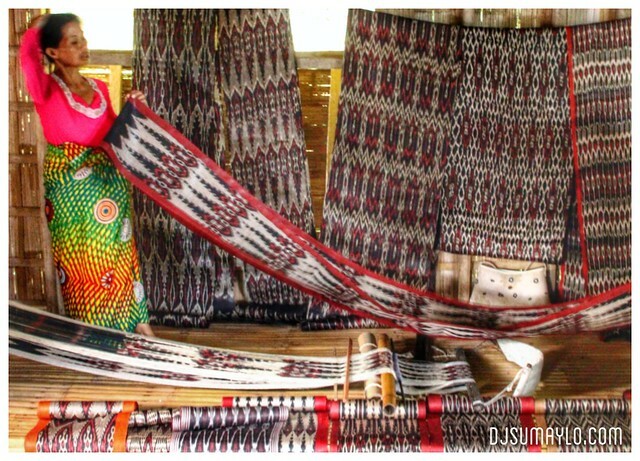 Much like the fading photos of Lang Dulay in her workshop, the craft is slowly fading but with great effort not by the government alone but the T’boli themselves, this tradition will be passed on to the next generation so that our children’s children will be able to see the beauty of weaving T’nalak.